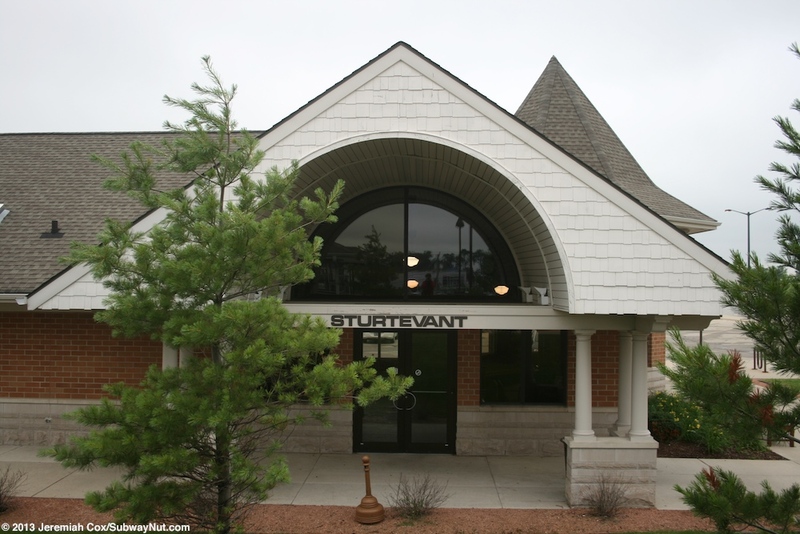 The current Strutevant Station opened on August 14, 2006 and is a Park & Ride Station located in Renaissance Business Park. 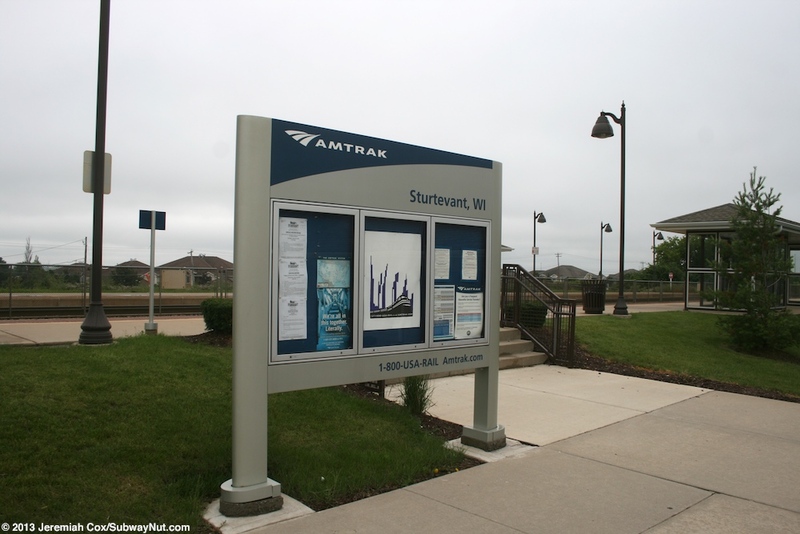 The current station directly replaced the previous Strutevant Station that was located a mile south in downtown Strutevant. This station had a historic (preserved but moved off the railroad ROW) 1901 station house built by the Milwaukee Road. 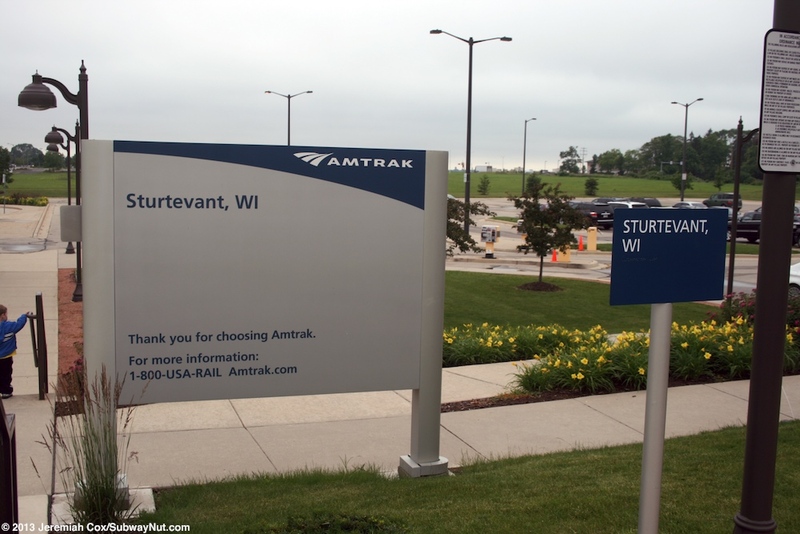 Strutevant has been a stop on Amtrak's Hiawatha service, the local trains between Chicago and Milwaukee that have run since the beginning of Amtrak. 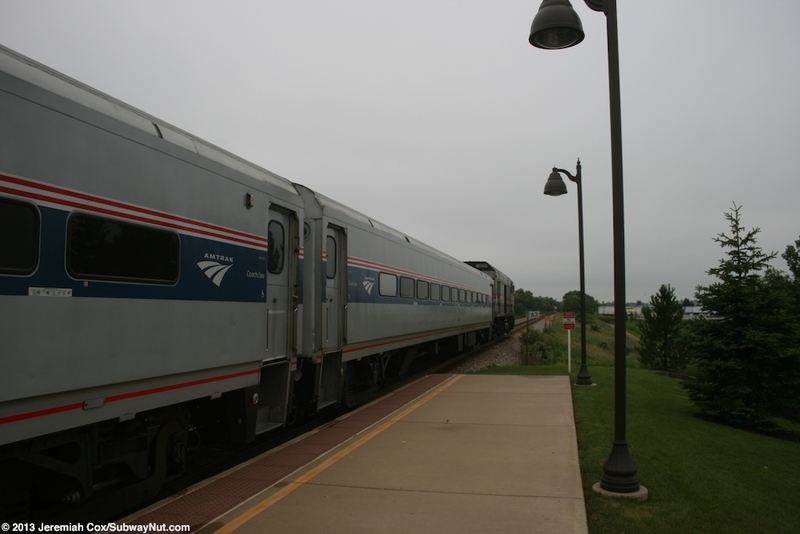 Long-distance trains, today only the Empire Builder have normally bypassed this station. 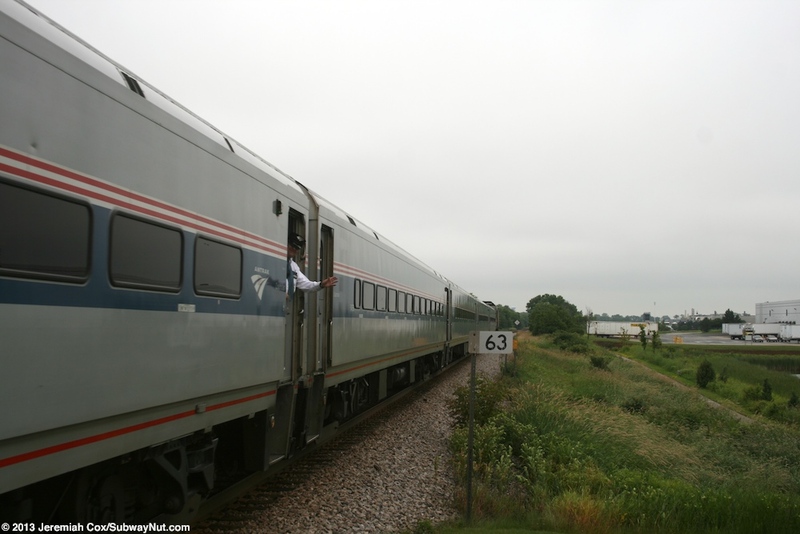 This has included the 1971-1979 North Coast Hiawatha that ran from Chicago to Seattle along the southern Northern Pacific Line. 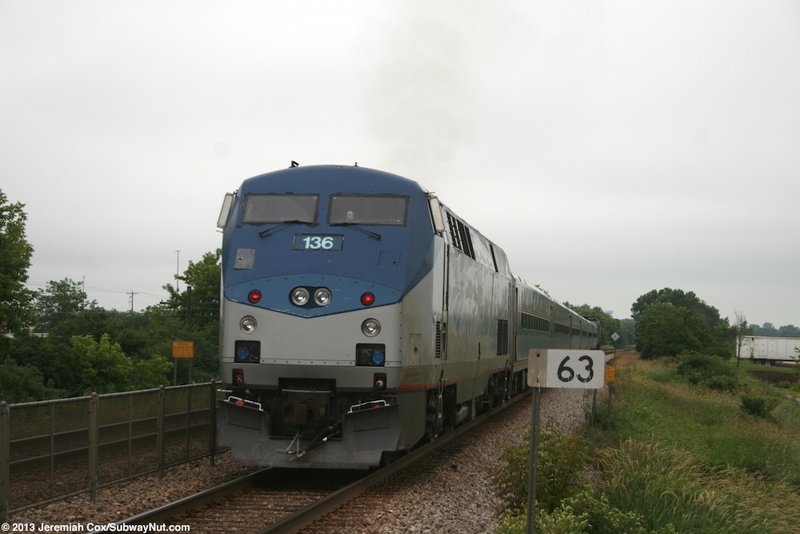 The North Star that operated from Chicago to Duluth via St. Paul on an overnight schedule between 1978 and 1981 did stop at Strutevant, the only train in the Amtrak era to except for Chicago to Milwaukee Hiawatha's with all 7 daily (6 on Sundays) trains stopping at Strutevant. 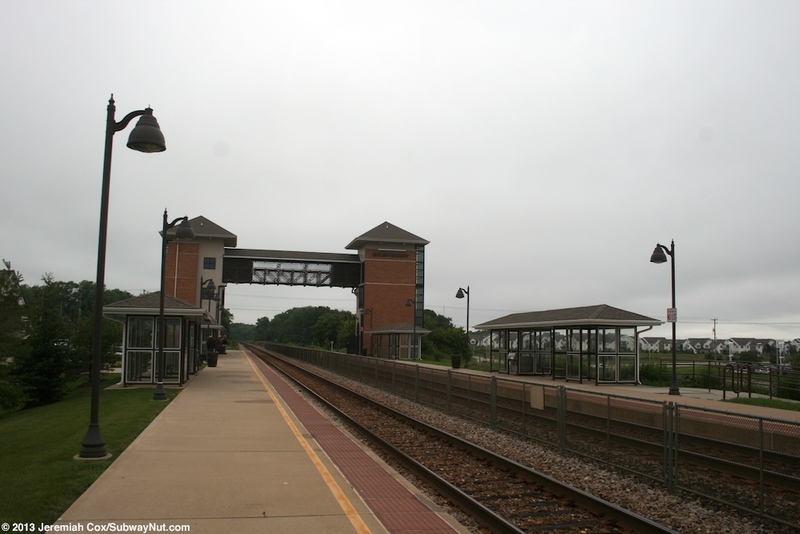 The current station was built without provisions for a live ticket agent, the previous station did have an agent at some points during its history under Amtrak. 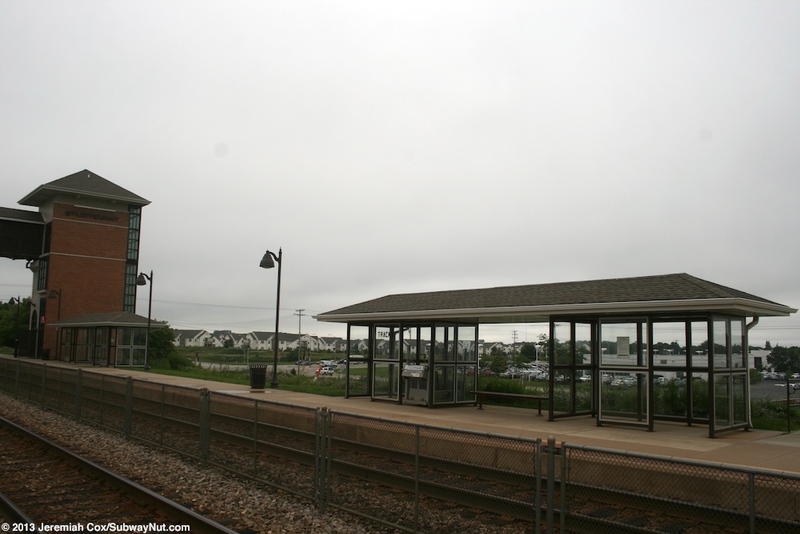 The current station has two low-level side platforms, one on each side of the two track line located just south of the underpass (trains go over on a bridge) of Washington Avenue (WI-20 and County Road H). 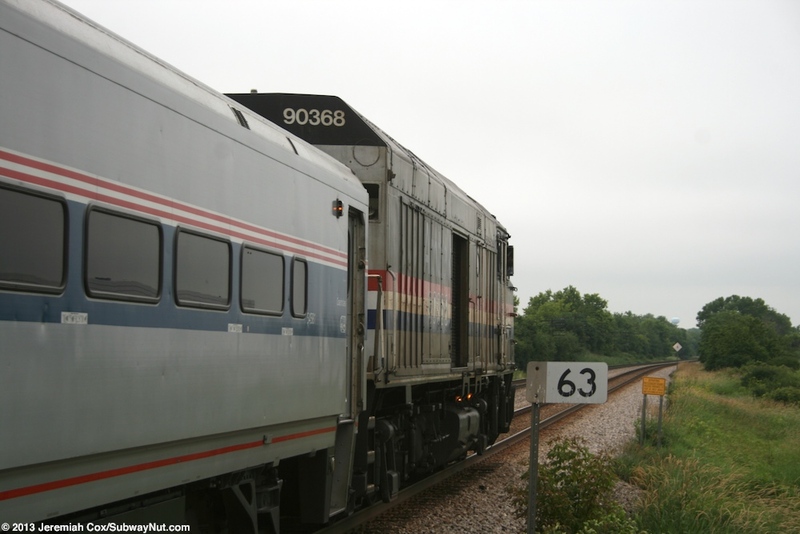 No grade crossings are in the immediate vicinity. This overpass bridge means the station is on a slight embankment. The platforms each have four total (two on each platform) canopy structures for waiting passengers. Each of these are small and relatively self contained with a shingled, gabled roof held up by two sets of black framing and plexiglass windscreens. One of these windscreens on each platform is not available to passenger use because a mobile-lift has been positioned here for ADA boarding up the traps of the Horizons Cars that are designed for both low-level and high-level platforms. The platforms are modern with tactile warning strips and black lampposts They platforms are connected by a tall overpass bridge (signs in the station with boarding instructions call it a skywalk) towards the northern end of the platforms with mesh sides that has a fully enclosed (with doors) shafts that hold up each side of the bridge. Inside these shafts is an elevator and staircase that loops its way around from platform level to bridge level. The access shafts each are clad in brick and glass. The tops have decorative gabled and overhanging roofs. 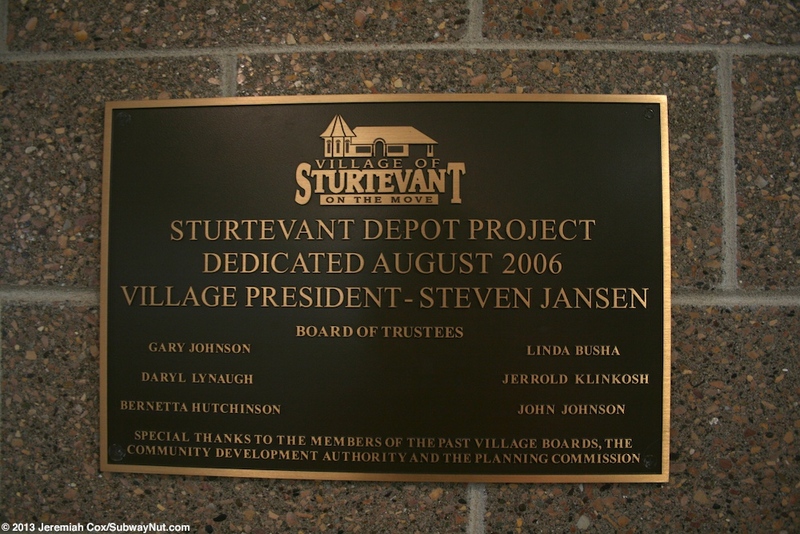 Black letters spell out Strutevant on one side of the shaft specifically in the normal direction that a train arriving in the station would face. 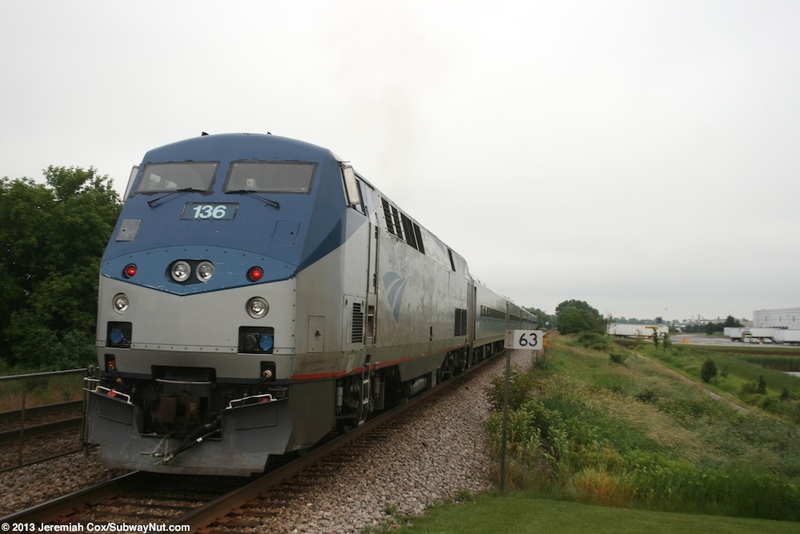 Trains use normal right-hand running here with the east Track 1 normally to Milwaukee and west Track 2 normally to Chicago. Track assignments do change and there is a modern P.A. System that is controlled remotely and a person's voice can come on before a train wrong-rails into the station and inform passengers to use the overpass bridge and head to the opposite platform (this happened to me when I was boarding a train in Strutevant). No visual displays are provided for track changes for the hearing impaired (which violates the ADA). Track 2 (normally to Chicago) is a bit above the waiting room and replica station house. From the outside this station house looks a bit similar to the original with a tall gabled roof, brick walls and overhanging porches with columns. The most distinctive feature is a small attached circular room with an extremely pointed roof inherited from the design of the original depot. Inside is a waiting room open for 6:15am to 9:30pm for all departures in both directions. 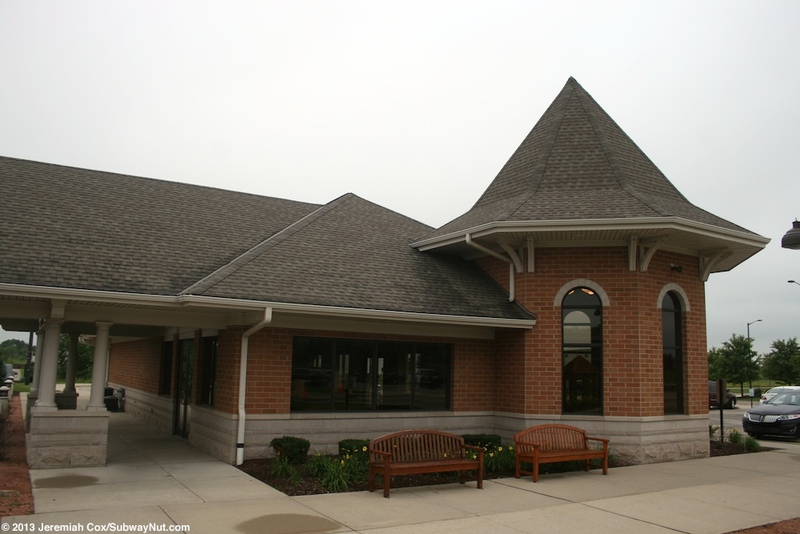 This waiting room has modern and cheep looking cinderblock walls there are some photographs and pictures of the historic Strutevant Station decorating them. This isn't to say its not a nice place to wait, it just lacks personality. A wooden cabinet has a model of the original station and some memorabilia including some from the Santa Fe, not the Milwaukee Road that put Strutevant on the map. 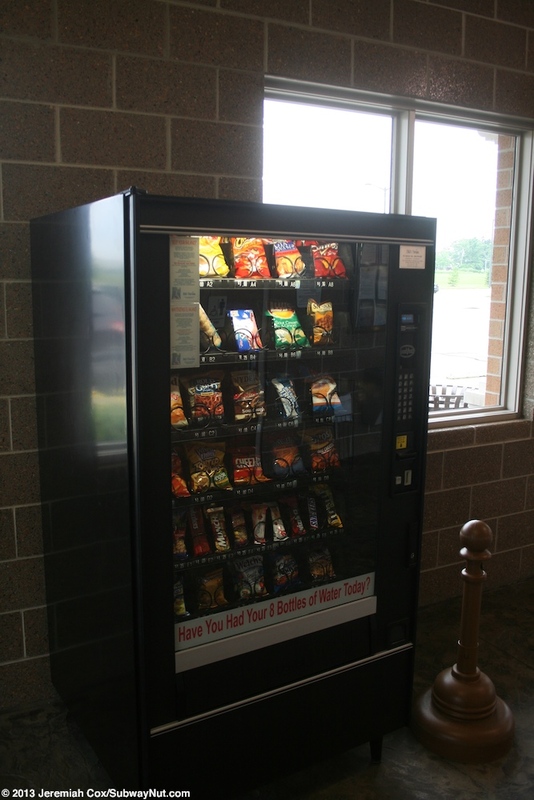 Inside are also restrooms, water fountains and a Quik-Trak Machine for ticketing. 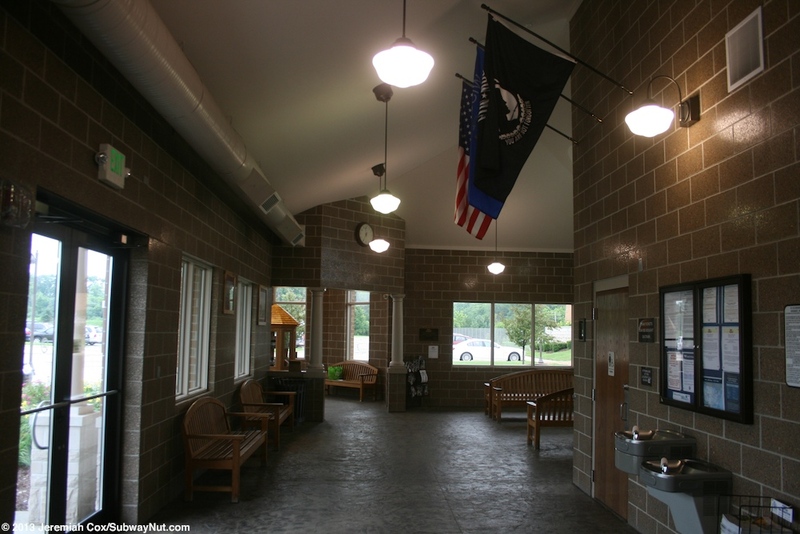 Three flags, the American, Wisconsin, and POW hang from a higher wall inside the depot. 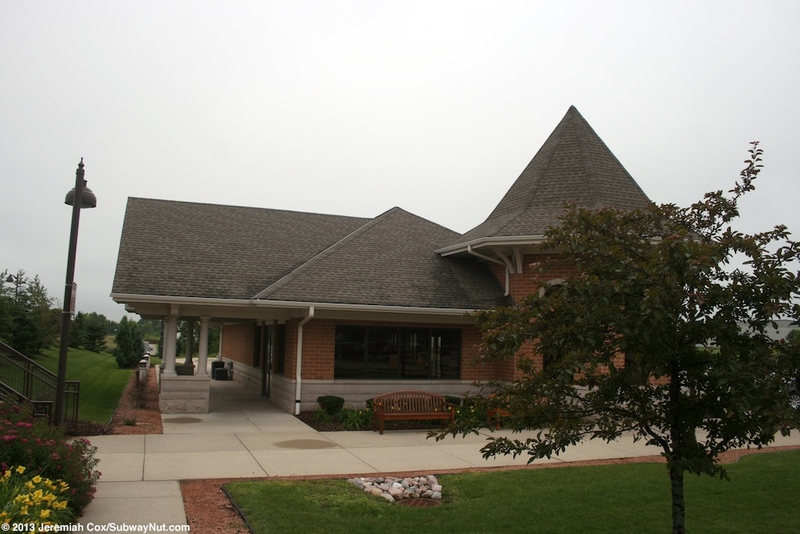 A plaque says these were dedicated by the VFW Strutevant Memorial Post 9948. Benches are modern wooden ones. 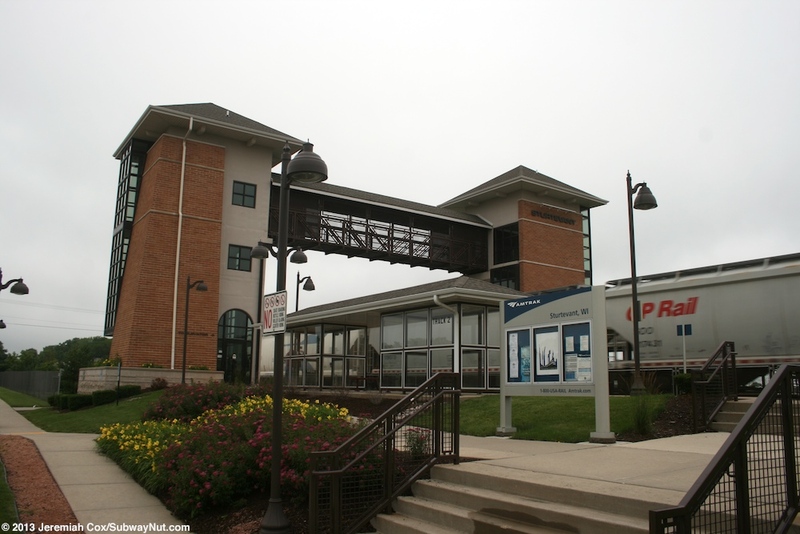 Leaving the depot is a passenger drop off area, short term parking spaces and the station's bus loop where Racine Transit — the Belle Urban Transit System runs hourly service on Route 27 during weekdays to the station. North of here is the station's 250 space paid parking lot. 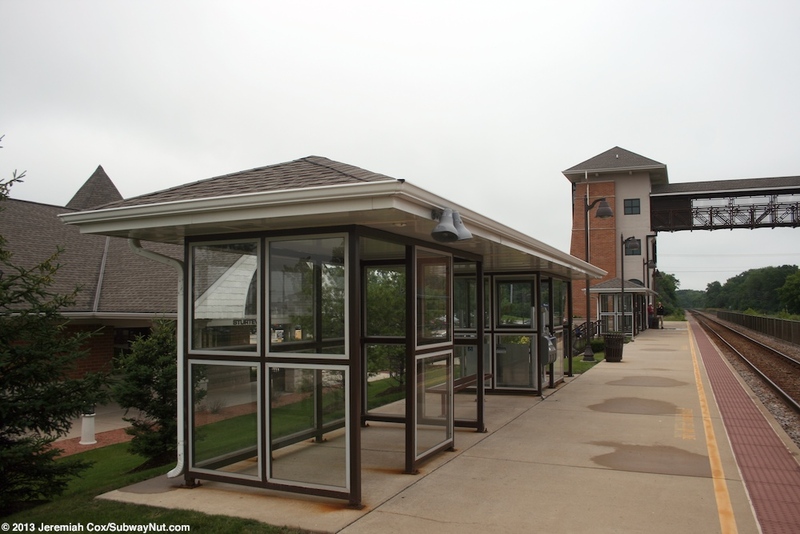 The station uses a fee of $6 per entry into the gated parking lot with monthly parking passes available for $60 for those who are nearly daily commuters on the Hiawatha. 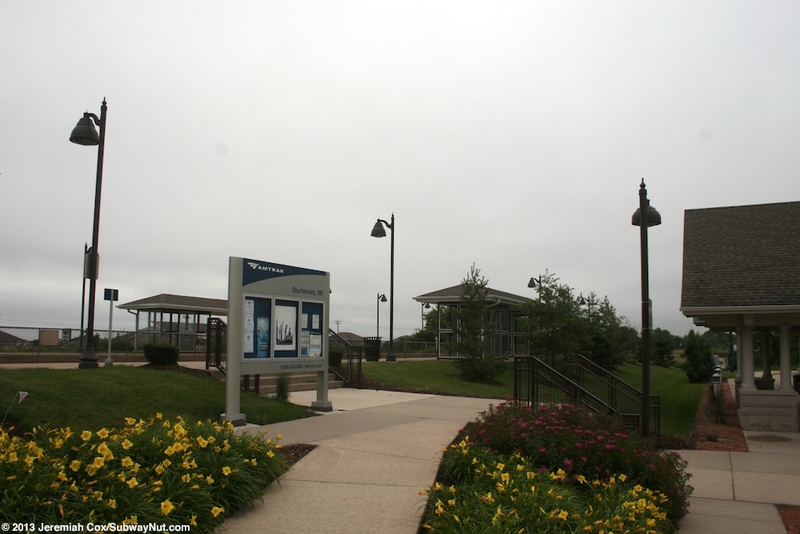 All access to this side of the station for both cars and pedestrians with nice bike path is from Exploration Court with access due west from Renaissance Drive (County Road H). There is a final pedestrian entrance to the southern end of the platform for Track 1, here a path loops its way down a ramp from the embanked railroad that could use a bit of pruning because the bushes were overgrown when I visited. This leads down a path straight back along a mini-storage to Wisconsin Street that is parallel to the station. The entrance to this path has a couple of yellow bollards (like a bike path) to keep cars out and a small mini railroad station sign with the station logo and Strutevant Depot Pedestrian Access beneath. 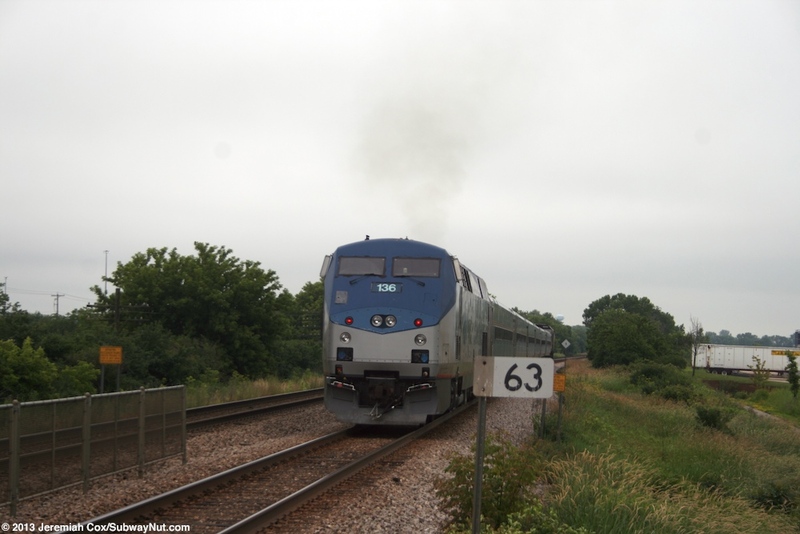 The rear of a Southbound Hiawatha Train stopped in the station is that a cabbage with the old paint scheme? 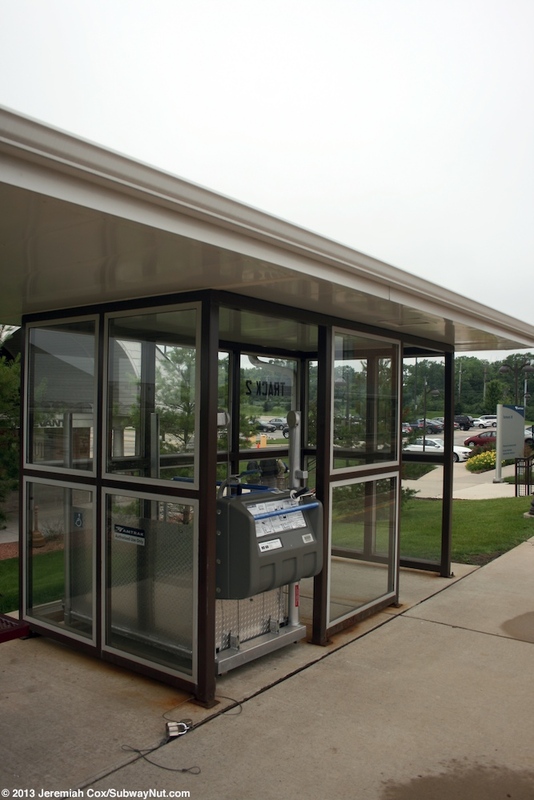 Does the mobile lift really need to block an entrance into one of the little wind-screened shelters?